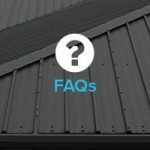 Home » News » Plastic Roofing or Metal Roofing? If you’re thinking of having a new roof installed on your property you’ve likely come across a range of options when it comes to materials. Metal and plastic roofs are two popular roofing materials for homes, commercial properties and extensions. Each material brings with them unique considerations, so we thought we’d take a look at each in this article. We’ll tackle the big issue first: which material will set you back the most, metal roofing or plastic roofing? From a basic material cost standpoint metal roofing is the cheaper option, costing less per square foot that plastic. Both materials are specialist roofing options, so you’ll need an experienced roofing contractor to take care of installation for you, but metal roofing does give you more options budget-wise. There are a range of metal roofing materials to suit different requirements, suiting domestic, commercial and industrial needs. Stainless steel roofing will be cheaper than copper, for example, so there are different ways you can go if you’re opting for a metal roof. A plastic roof is more limited when it comes to choice, and therefore price. Corrugated plastic is a cheaper option for conservatories and smaller outbuildings, but is unsuitable for full commercial or domestic roofs. 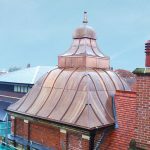 Choosing plastic for bigger roofs can be a pricey venture, so it’s worth weighing up your options before going down any particular route; you’ll likely find a more affordable metallic option which provides more than sufficient protection. Your roof is a critical component of your property. It has to stand up to everything that is thrown at it, from extreme rainfall and storms to high winds, rapid temperature shifts and more. 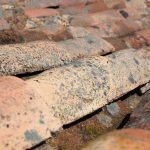 A new roof is an investment in the stability of your property so selecting the right material for the job is an important consideration to make. Metal roofing is an incredibly hard-wearing option. From stainless steel to copper, you can expect a metal roof to last for decades, or even centuries if given the necessary care and respect. Lead and stainless steel roofs are often found on churches, for example. A real testament to their longevity. 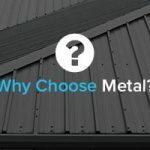 Single membrane plastic roofs offer comparable protection from the elements to standing seam metal roofs, but as we’ve mentioned you have more options when it comes to metal. Plastic roofs can be a good choice for flat roofs, but aren’t used for pitched designs – unlike standing seam metal roofs. Again, the versatility of metal roofs means they can be put to use in a range of circumstances, both domestic and commercial. The look of your roof is always worth keeping in mind, not only how it appears once it’s been installed, but how easy it is to maintain that look over time. Often the base design of your roof will determine how much maintenance it needs. Flat roofs typically require a more involved maintenance schedule, which is something to think about when it comes to PVC single ply membrane roofs. Metal roofing should be largely hassle-free for its entire lifespan. Annual maintenance is recommended as well as a regular cleaning to clear away leaves or debris. Metal roofing provides a clean modern aesthetic which is particularly appealing for commercial properties. In recent years, metal domestic roofing has also seen an increase in popularity. Whether you have a pitched or flat roof, metal sheet roofing can be a quick and simple way to attain a contemporary look to your exterior. Combine metal roofing with metal guttering and roofline materials, and your home will have a seamless and robust aesthetic that is highly functional and easy to manage. JTC Roofing provide a range of metal roofing options for domestic, commercial and industrial properties across the UK. We guarantee that our metal roofing is constructed to the highest standards and installed with meticulous care for long lasting protection from the elements. 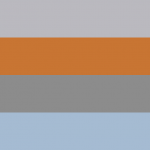 To find out more about all our metal roofing options, including lead, copper zinc and stainless steel, simply contact our friendly team today. JTC Roofing Contractors Ltd are extremely proud to have been featured on Channel 4's popular property development show, Grand Designs.